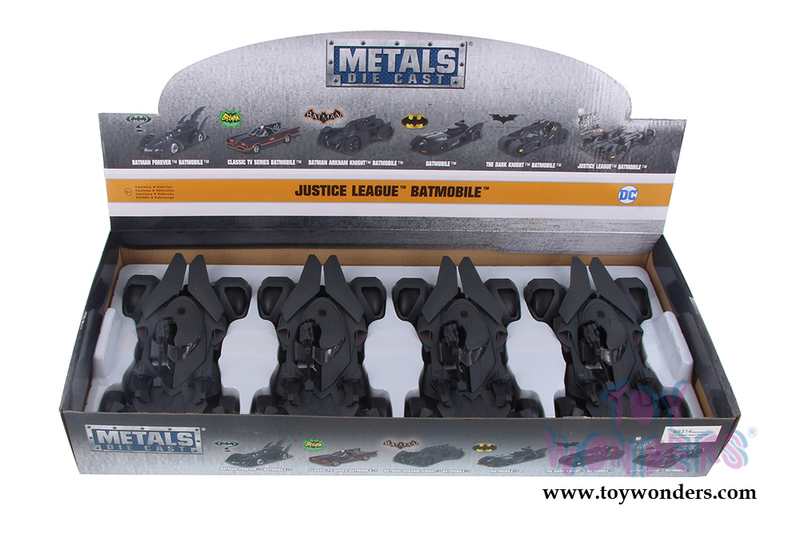 99314 Jada Toys - Metals Die Cast | 2017 Justice League™ Batmobile™ with Batman™ figure. 1:24 scale diecast collectible model car. 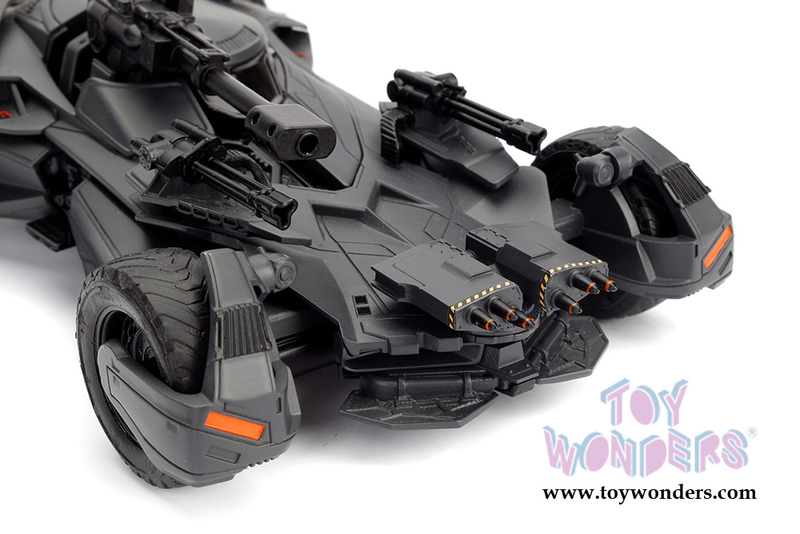 This Batmobile is a 9"Lx 5"Wx 2.5"H diecast metal car. 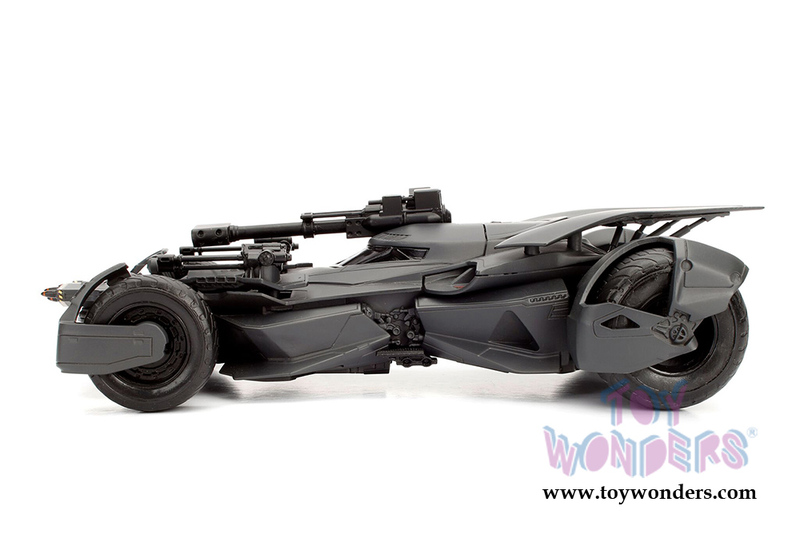 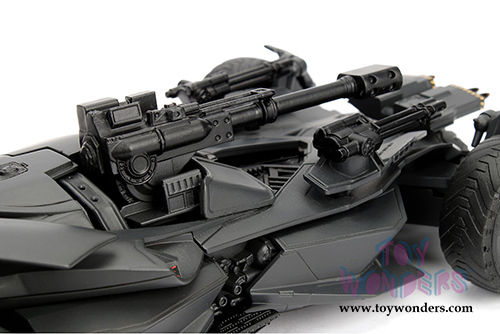 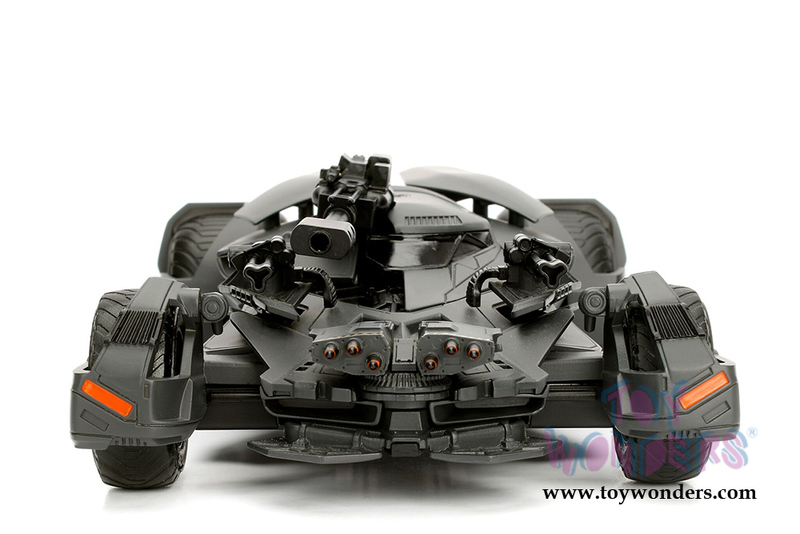 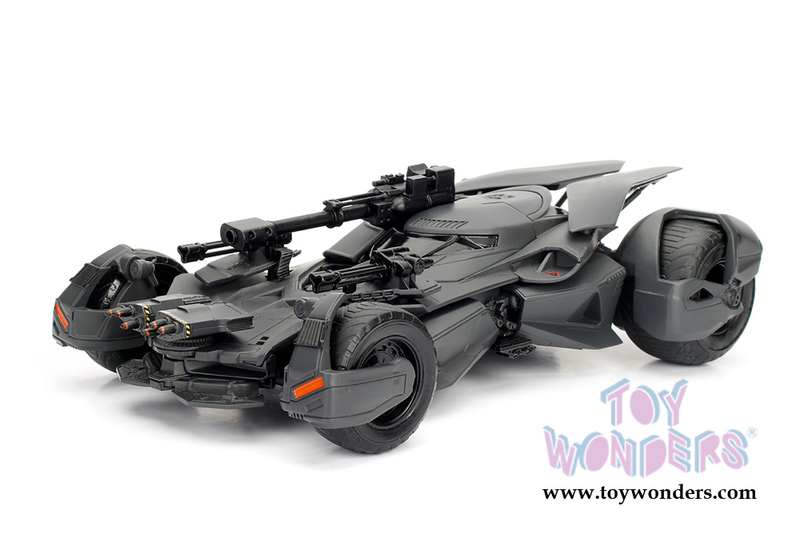 This Batmobile is manufactured by Jada Toys. 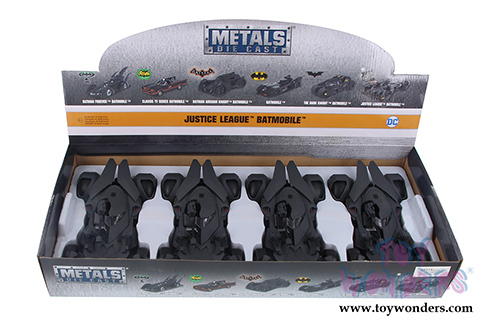 4 pcs per display box. Item 99314 is in BLACK. 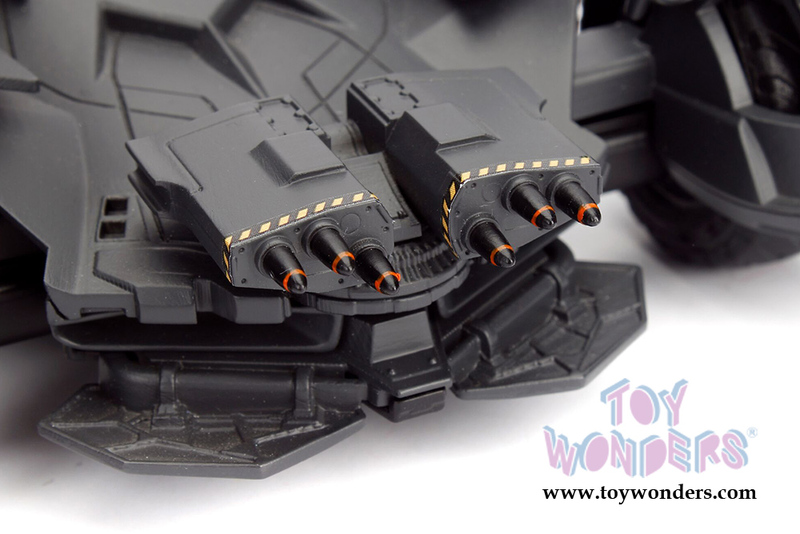 16 pcs per inner box.